Depending on your budget, ordering custom curtains may not always be a possibility. 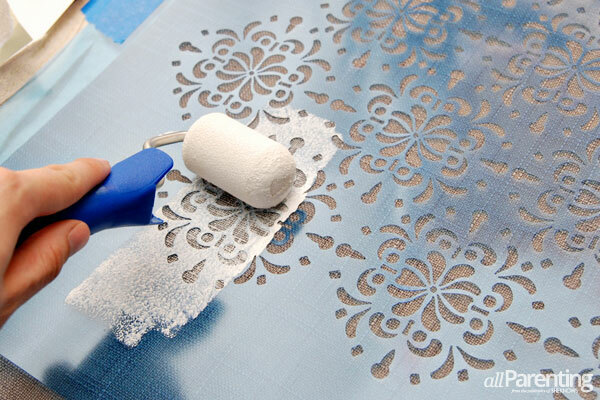 With a pretty stencil and a great paint color, you can transform plain curtains into custom decor in no time! When I am decorating my home, I always have a hard time finding the perfect pattern or design to match what I've envisioned for my space. Whenever I just can't find the right thing, I dive right in and make my own! 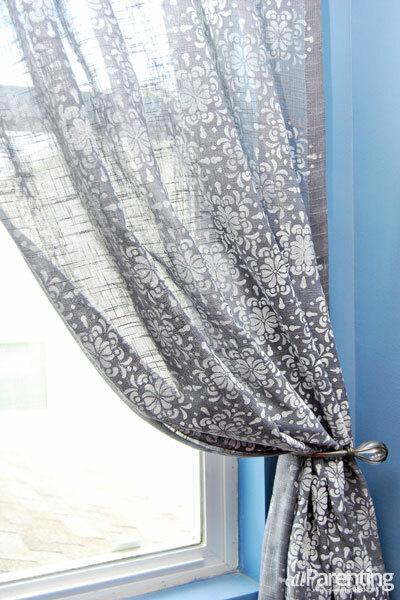 Check out how you can make pretty custom curtains in less time and with less expense than anything from the store! 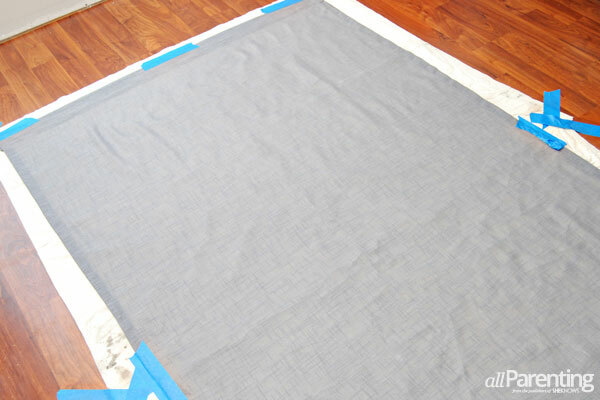 Lay out a large drop cloth and tape it to the floor with painter's tape. Lay the curtain panel out on top of the drop cloth. Smooth out any wrinkles and tape the curtain in place so that it does not shift while you are painting. Line up the stencil in the upper left corner of the curtain panel. 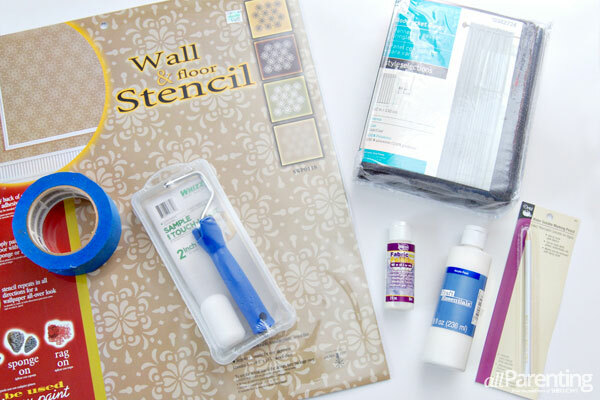 Use painter's tape along the edges to keep it from sliding around while you add your paint. 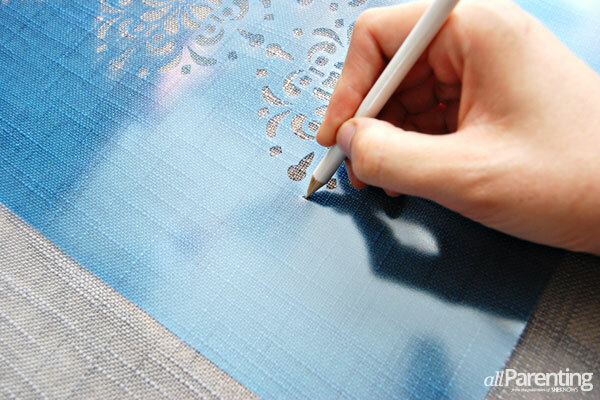 Use the fabric marking pencil to mark off the guide points at the four corners of the stencil. 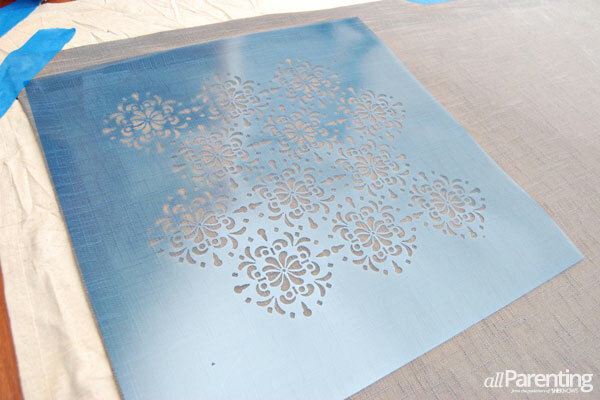 This will help you line up the stencil again later. 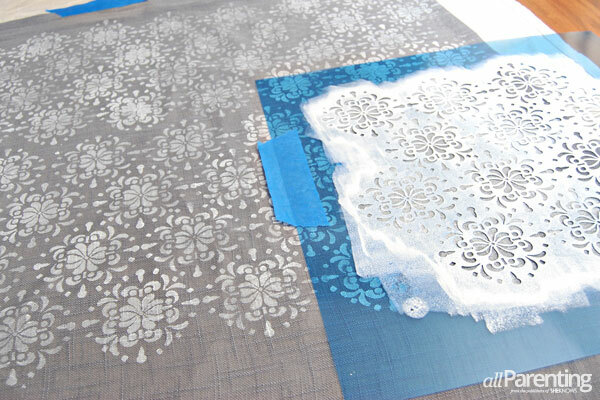 Mix together the acrylic paint and textile medium at a 2:1 ratio, and then start rolling the paint over the stencil. 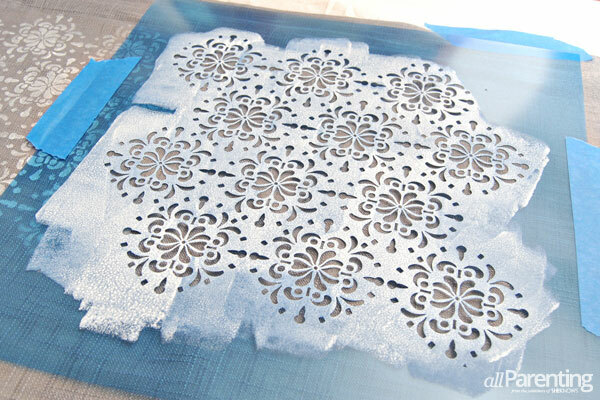 Once you have filled in the entire stencil with paint, slowly peel away the stencil to reveal your design. Then re-position the stencil using the guide points you marked with the pencil. Paint over the stencil again (don't forget to mark those guide points!) and keep moving the stencil around the curtain until you have filled the entire curtain panel. Let the paint dry completely, and then your curtain is ready to hang!